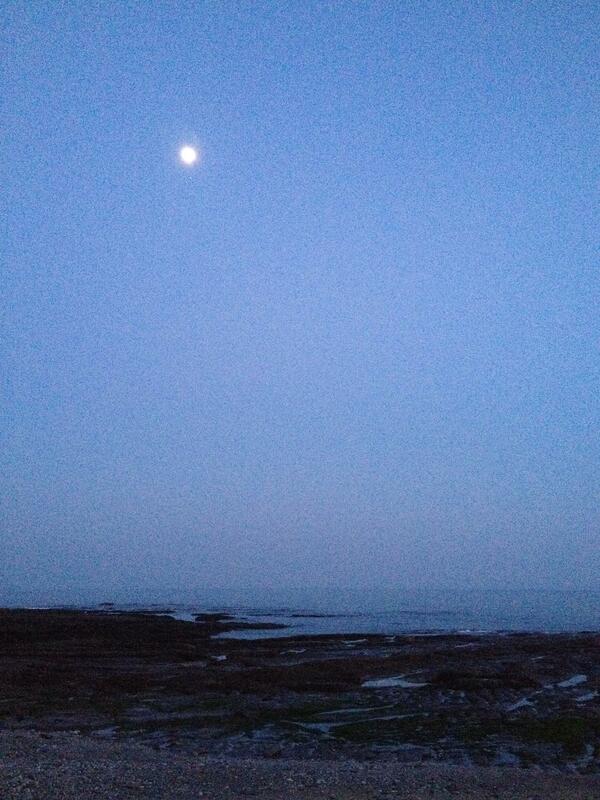 It’s 10.10 at night and I’m sitting on the beach in the dark on my own. I’m propped against a rock, my sleeping bag and roll mat are stretched out in front. A driftwood fire is warming my legs, occasionally the smoke swirls into my eyes. So what does it feel like to be doing your first solo wild bivvy? Funnily enough I’m not nervous. I always thought I would be, especially as a woman. Being afraid of being vulnerable always meant I ruled out heading to a wild space, to sleep, without a tent, all alone. I was nervous earlier – walking the shore with a substantial rucksack as evening drew closer felt very exposed. You think everyone knows what you’re going to do, however much you try to look like you’re on a training hike. But I’d set out calling this a ‘bivvy reconnaissance’. A recce with full kit, but still a recce – if I didn’t want to stay I’d head home: recce done (tick), not bivvy failed (cross). So I found myself a stretch of beach where I was tucked completely out of sight. And as I sat there on my rock and the sun got lower, I slowly adjusted to the thought of not going home. I became more and more comfortable – I could envisage what it would be like to stay. And suddenly I was staying; it was too dark to go back – it felt more dangerous to go back. And I was happy with that. Now, although the sun set 90 minutes ago, it’s curiously light – ahead in a completely clear sky hangs an almost full moon, with a bright planet just below and to the right. Odd jumping sand creatures are pinging off my kit – I’m determinedly not thinking about them jumping into my bivvy bag once I’m asleep. But if that’s now the biggest of my worries – I can cope with that. Otherwise it’s still; serene. An owl is hooting. I can hear the waves, see the moon, smell the burnt-out fire. Time to sleep. It’s now about 6.15am. The sun has risen over the headland and is warm on my back. 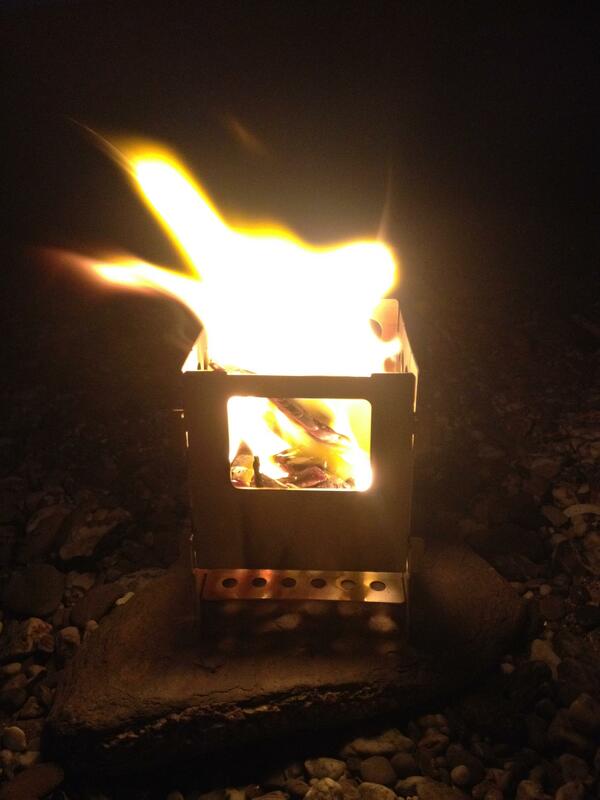 I have a mug of ridiculously strong coffee brewed over a driftwood fire*. The remains of the French bread that was, with cheese, last night’s supper, still tastes good for breakfast. Six oystercatchers have just given a noisy, celebratory fly-past. I’m not stoked, not punching the air. But somehow I’m deeply happy – I keep giggling to myself. I’m relaxed, quietly empowered and somehow more sure. Of me. I’m also incredibly tired – I really didn’t sleep much at all. But I’m considering the possibilities and the potential. And I’m thinking of all the mornings that can be like this. That there are pretty much always people who can provide inspiration and information. On this that came via Phoebe Smith, author of Extreme Sleeps (essential reading). And via an encounter at Women’s Adventure Expo with Erin Bastian and Anna Blackwell – awesome adventurers all. And that (thank you!) so many people will give support when you do the thing that scares you. So much so that on a solo bivvy, although there’s no one else there, in some ways you’re not really alone. Since this first solo bivvy most reactions have been to do with being a woman and feeling vulnerable or not safe. This is tricky, and one solo bivvy down, I’m far from an expert. But my guess is sometimes you should listen to the voice that says you shouldn’t stay – that instinct might keep you safe. But sometimes I’d guess it might be ok to push through and stay on. The skill, perhaps is knowing which to do. Sometimes being more remote will mean you’re safer from people, but it might mean you’re more at risk from the weather and the terrain. The skill, perhaps is recognising which is which. I’ll continue learning from those who’ve done this before, continue wanting to GetOutside, continue listening to good advice, and continue testing myself. Yes, sometimes I’ll pack up and come home. But sometimes a safe space, clear skies and a driftwood fire will keep me outside. ***Obviously these are judgments that must rest with you alone – this post shouldn’t be the basis of decisions (and can’t be liable or responsible for your decisions); seek specialist guidance for that. Well done, a great achievement! I’ve only once done a solo outdoor sleep, back in the late 70’s when I was in my late twenties. I was mad keen on motor racing, and went to the British Grand Prix, at Brands Hatch. I had a ticket, but wanted to be right against the fence without having to queue, so I stayed inside the circuit overnight, and slept in just a sleeping bag. All went fine until, in the middle of the night, I woke with a dry mouth. I licked my lips and there was something incredibly salty on my top lip. I pulled out my torch, rubbed my face and found….. a slug crawling across my top lip. I didn’t repeat the experience – who knew what else was slithering through the grass in the Kent countryside! I do think I’d probably do a seaside one, though – love the feeling of being by the sea when the sun sets and/or rises. Please keep these posts coming, they’re great!